A material consisting of any of a wide range of synthetic or semi-synthetic organic compounds that are malleable and so can be molded into solid objects. Plastics are made from a wide range of synthetic or semi-synthetic organic compounds that can be molded into solid objects. Typically, plastics are synthetic and consist of chemical compounds derived from petrochemicals, or oil. Plastics’ malleability stems from its chemical makeup – a long chain of polymers that may be shortened or lengthened without changing the chemical nature of the plastic itself. While the word “plastic” gives off the impression that all plastic objects are made from the same exact chemical makeup, there actually exist many different types depending on what other additives are mixed into the polymer chains. The number stamped on plastics (1-7) dictates whether the material may be recycled in your local municipality. As a growing number of communities were implementing recycling programs the Society of the Plastics Industry introduced the Resin Identification Code (RIC) system in 1988. In order to address the concerns of recyclers across the U.S., the RIC system was designed to make it easier to sort and separate items according to their resin type. Plastics must be recycled separately, with like materials, in order to preserve the material’s value and enable its reuse in other products after being recycled. In its original form, the symbols used as part of the RIC consisted of arrows that cycle clockwise to form a triangle that encloses a number. The number broadly refers to the type of plastic used in the product. “1” PET – beverage bottles, cups, other packaging, etc. 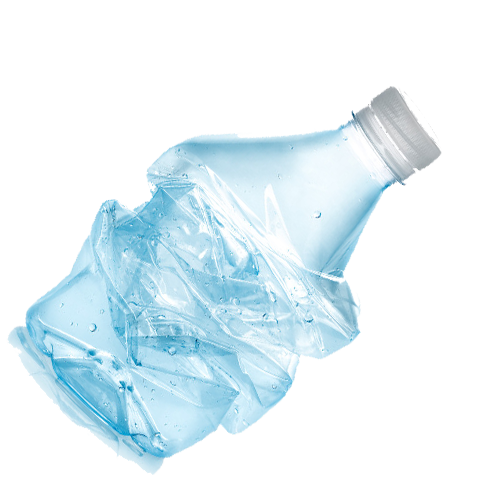 “2” HDPE – bottles, cups, milk jugs, etc. “3” PVC – pipes, siding, flooring, etc. “4” LDPE – plastic bags, six-pack rings, tubing, etc. “5” PP – auto parts, industrial fibres, food containers, etc. “6” PS – plastic utensils, Styrofoam, cafeteria trays, etc. “7” other plastics, such as acrylic, nylon, polycarbonate and polylactic acid (PLA). Like-numbers must be combined together for recycling, and most centers cannot recycle them all. When determining whether you can recycle certain objects, visit your local city or county’s website which will provide you with a list of the types of plastics (or numbers) your municipality accepts at its recycling centers. Remember, however, that most plastics cannot be recycled and that the recycling process itself is extremely energy intensive and often results in degraded plastics. The best option is to opt to reduce your plastics consumption and reuse what you have so as not to bring more new plastics into the plastics lifecycle.